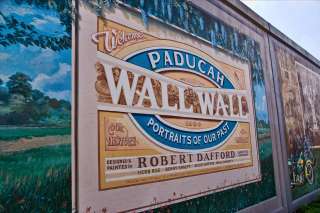 Robert Dafford and the Dafford Murals Team capture Paducah's rich history in life-sized paintings on the river city's floodwall. 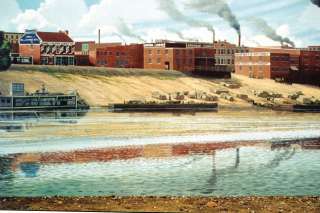 These panoramic "Portraits from Paducah's Past" overlook the confluence of the Ohio and Tennessee Rivers and illustrate Paducah's historical significance and creative connection. 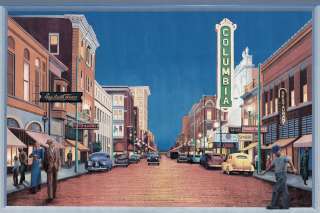 Allow more than 50 panoramic murals to inspire your Paducah experience! Named TripAdvisor&apos;s most popular tourist attraction in Kentucky in 2014! 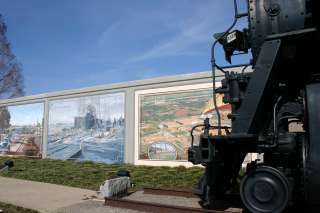 Paducah&apos;s floodwall murals present a public art experience available at all hours. 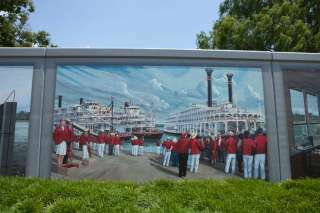 Visit at your leisure for a self-guided tour of the murals, and begin to understand how the rivers have shaped Paducah&apos;s culture. ABOUT THE ARTIST: Robert Dafford, a muralist from Lafayette, Louisiana is one of America's most prolific muralists. He has been designing and painting outdoor works professionally since 1970. 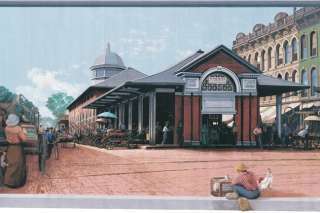 The work of the Dafford Murals Team can be viewed throughout the United States and in France, Belgium and England.